Speed-Pro hydraulic lifters are precision manufactured to maintain precise valve timing under all operating conditions. A patented constant orifice metering valve provides precise oil metering to the overhead valve train. These lifters are intended for use with both O.E.M. and aftermarket “stock” camshafts. Also recommended for use with performance camshafts with RPM limitations of between 5500 and 6000 RPM. Application: Small Block Ford, O.E.M. 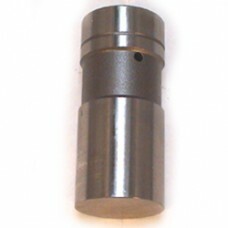 replacement for hydraulic flat tappet cam.